The garage is open for business once again. Discovery Channel has announced a new season of their reality series, Misfit Garage, will premiere in March. The TV show is a spin-off of Discovery’s auto restoration series, Fast N’ Loud. The new season of Misfit Garage will follow the crew of the hot rod shop Fired Up Garage as they “take on complex builds that can yield even bigger return” and open up their own food truck. Season three premieres on March 7th at 10 p.m. ET/PT. An all-new season of Fast N’ Loud spin-off series MISFIT GARAGE hits the ground running with bigger builds and more drama on Motor Mondays starting Monday, March 7 at 10:00pm ET/PT on Discovery. MISFIT GARAGE follows mechanics who joined forces to create their own startup hot rod shop, Fired Up Garage, to rival Richard Rawlings’ Gas Monkey Garage in Dallas. This venture is their chance to go toe-to-toe with their number one adversary and prove to everyone that they have what it takes to make it big in the auto world, but succeeding proves to be much harder than they bargained for. This season, the Fired Up Garage crew – Thomas Weeks, Tom Smith, Kevin Clark and Jordan Butler – are determined to grow their business further but face major obstacles along the way. With the hope of moving onto bigger and brighter ventures, they take on complex builds that can yield even bigger return. They also set their sights on expanding the Fired Up Garage brand by opening up their first food truck in an attempt to go head-to-head with Gas Monkey Bar and Grill. 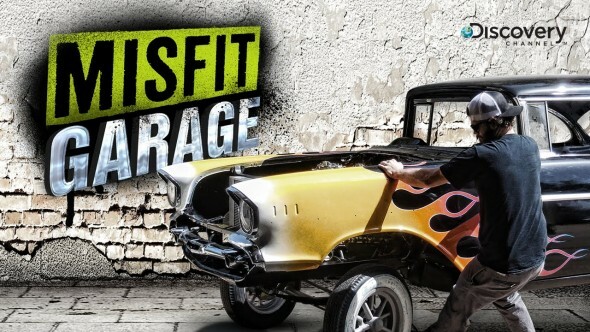 Throughout the season, the gang faces turmoil from within like true misfits, and friends and business collide when Fired Up Garage takes on a build for a member of the Gas Monkey Garage team. The season kicks off with Tom Smith and Thomas Weeks making good on their ongoing mission to put Fired Up Garage on the map. They acquire a ’69 Plymouth Satellite and make big plans to turn it into a racer with a 750-hp big block 440 engine. Meanwhile, Weeks sets his eyes on a ’32 Ford Five-Window body owned by Richard Rawlings. What do you think? Have you seen Misfit Garage? Will you watch the new season? More about: Discovery Channel TV shows: canceled or renewed?, Misfit Garage, Misfit Garage: canceled or renewed?